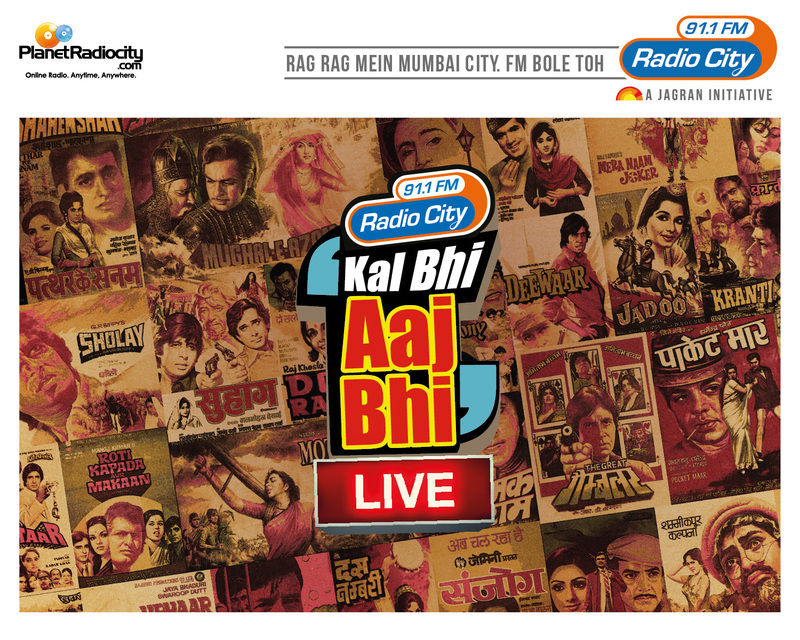 India’s most loved retro music show, Radio City 91.1FM’s Kal Bhi Aaj Bhi is all set to recreate the magic of the Bollywood's Golden era LIVE by giving a tribute to the Retro Music with Radio City’s Kal Bhi Aaj Bhi LIVE . RJ Gaurav, connoisseur of the golden era, will be hosting the event that will showcase the best of yesteryears' melodious music peppered with many inside stories and never heard before anecdotes related to the evergreen stars and their movies. Talented singers - Vinod Seshadri, Sameer Vijaykumar, Kiran Shembekar, Sagar Sawarkar, Supriya Joshi, Shefali Taggarsi, Pranita Deshpande, Sarita Rajesh, Ananya Bhowmick and Amruta Dahivelkar will be performing in their soulful voices at the event.